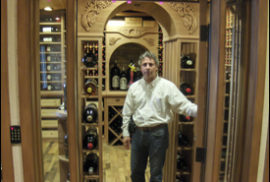 Custom wine cellars have been “in the state of becoming” as we push the envelope for our clientele to give them a custom wine cellar that is in-of-itself a work of art. Today, our discriminating clientele want something that is simply and uniquely their own. However, it must be the optimal vision of valid-artistry. 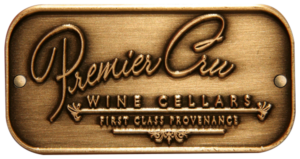 I tell my perspective clients: “No one will ever care more about their wine cellar than me.” That’s both in terms of the care of fine wine, (the climate control and refrigeration of it) and also the artistic expression that energizes and inspires my clients. My wine cellars become a very important part of the path in their journey of traversing this intoxicating, entrancing, and intriguing aspect of our human existence; enjoying the art of fine wine. 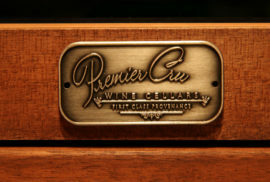 Fortunately, for us, we find many advanced-minded people, (many in Los Angeles) who happen to have a wine collection and allow me to execute my vision to complement their version of the “Essence of the Fine Wine Experience…” (the tag line for Premier Cru Collection) and create a wine cellar that is not only so much different than what they thought they could have, but also, so alive, enticing and invigorating as well that, my designs help to further their own justification that involvement in fine wine is truly an art form in-of so many different ways – and now – even including their wine cellar. Designing and building artistic custom wine cellars in Los Angeles has become so gratifying; especially because of the artistic expression I have come to experience. It is truly the acceptance of my clients “to allow me” to create something so dynamic, timeless, and exciting that makes me humbled and grateful, to all of my clients, for this very meaningful work.